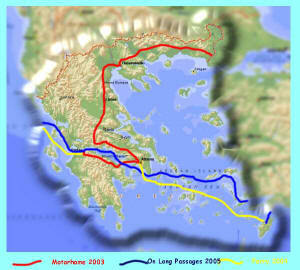 We found Greece interesting as we crisscrossed it by motor-home and sailboat. People ranged from friendly to indifferent, culture from busy Athens to laid-back cotton fields in the north, and fuel the cheapest in Europe. Greece is the original seafaring nation, with hundreds of islands, thousands of years of history on the water, and countless famous figures ranging from the Homer to Onassis. 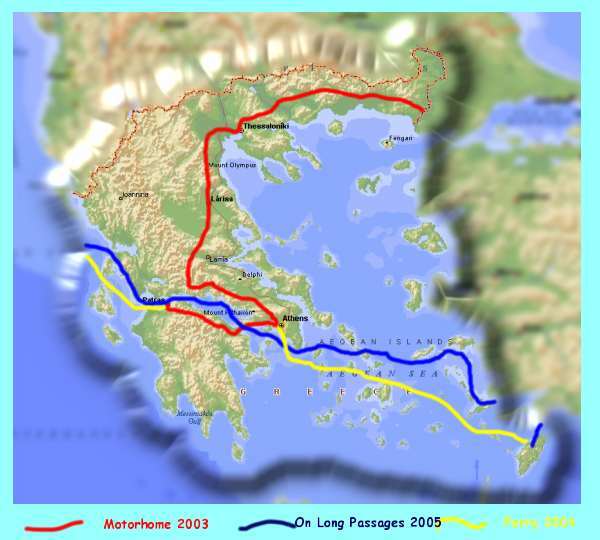 A big, cosmopolitan city with lots of traffic, we visited Athens in 2003, 2004, and 2005 arriving by motor-home, ferry and our own yacht - in 2003 unfortunately many places of interest were closed for renovation in preparation for the 2004 Olympics. 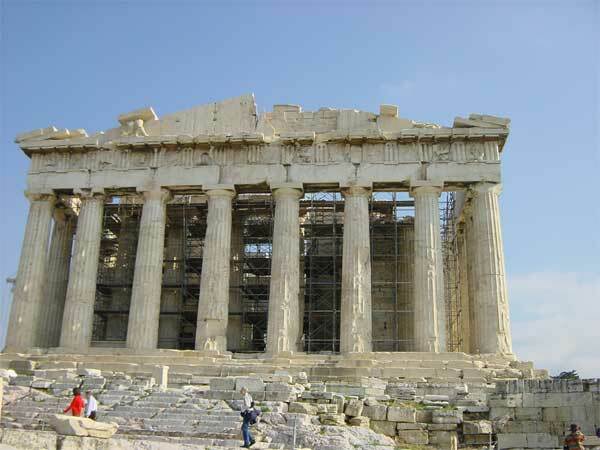 The Acropolis with its famous Parthenon dominates the city, and even wrapped in scaffolding it was really impressive - but one really needs to view it from the air to see it in all of its glory. We were introduced to the great "Elgin Marble" controversy - sculptures from the Parthenon taken by Lord Elgin for the British Museum - Greece wants them back and the museum says 'no way'. 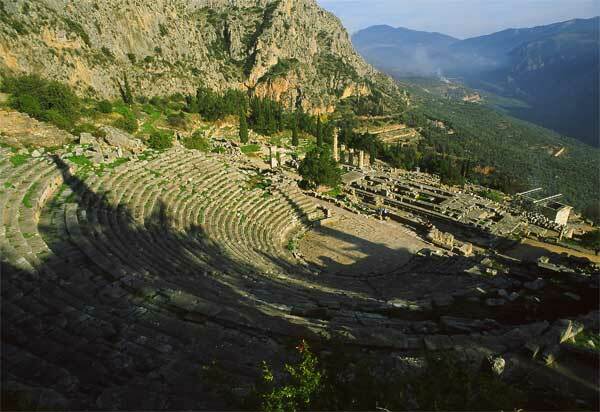 In ancient Greece, there were several 'oracles' - wise people who could provide guidance on many matters, and one of the most famous was at Delphi. This temple complex high on a hillside facing the Gulf of Corinth had altars, stadiums, an amphitheater, and of course the obligatory 'hole on a wall' where the oracle resided to provide anonymous advice and forecasting. The site had a very nice museum - or at least we think it did, but it was being renovated for the Olympics.